Nothing transforms the look of a room quite like paint color. So, when you want to give a bathroom a fresh spin, consider refreshing the walls. Below are 10 of the best colors to use in a bathroom and what makes each a great choice. Soothing blue. Wet areas of a home naturally fit well with colors that remind you of the sea: blues, greens, grays, etc. Blue shades in particular will often offer a watery feel, perfect for the bright and clean space of a bathroom. Look for blue-green or blue-gray shades that highlight an ocean appeal. Seafoam green. A pastel green color also hints at a coastal aesthetic and pairs beautifully with other neutrals or sea colors. Look for a soothing green shade that reminds you of charming beach cottages, for example. Crisp white. White walls have been on trend for a while, with good reason. Creating a neutral backdrop for all kinds of decorating styles, white is a wall color with universal appeal. Look for a warm white to keep the bathroom cozy and inviting, and pair it with a super-white trim to make the walls pop. Off-white. For a color with neutral appeal yet a little something extra, try going with an off-white or cream shade. Slightly more interesting than basic white, these shades are still simple enough to pair well with anything. Tan or taupe. Soothing neutrals such as tan or taupe also work well in bathrooms, particularly when paired with high-end touches such as marble floors or counters. Their comforting cream look makes for a warm, cozy choice. Cool gray. Gray colors are neutrals that boast a modern flair. When you’re looking for a background color that mixes well with current fixtures, gray is always a good way to go. Dark gray. Complementary to any skin tone and easy to mix and match with decorating styles, dark gray is another bathroom power color today. With this and any other dark paint choices, always pair it with good lighting that makes it easy to see how you look when you’re getting ready day or night. Dark navy. When you’re willing to go big and bold with a wall color, dark navy is a timeless choice. Balance dark walls with white cabinetry and counters for a great combination. Copper and brass fixtures also work beautifully with this hue. Dark green. Soothing and moody, dark green can make for a beautiful bathroom paint choice. Look for a green-gray hue that feels refreshing in daylight and elegant at night. Pink. In any bathroom that’s small or has little natural light, a pastel shade is a delicate, charming choice. Go pretty in pink and pair the walls with clean, white features to complete the appeal. 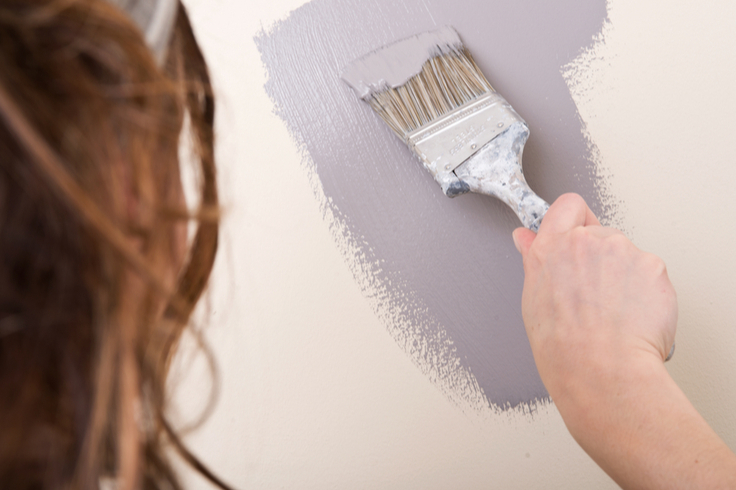 Choosing the best paint color for your bathroom starts with knowing your style and preferences. Explore the ideas above to get inspired with some possibilities, and imagine how your space will change with a new wall color! You have to get ready every morning — why not make it fun? From a hot shower to a cup of coffee, there are all kinds of luxuries that can make mornings less miserable; maybe you already rely on some of them. But here’s one more worth waking up for: a playlist that sets the soundtrack for your morning routine! Music is a proven mood-booster and a great enhancement for otherwise ordinary tasks. Plus, playing the same tracks every morning gives you a soundtrack for timing your routine and staying on schedule. When the third track ends, you know you should be out of the shower; when the last song starts, you know it’s time to get dressed. If you want to know how to create a morning bathroom playlist you’ll love, here are some great tips to try. “Wake Me Up Before You Go-Go,” by Wham! Released as a single in May 1984, this is considered one of the best songs from the ’80s, written and produced by George Michael. “Work,” by Iggy Azalea. This song from Australian rapper Iggy Azalea is a motivational tune detailing the artist’s life. “Banana Pancakes,” by Jack Johnson. Anyone looking for a soothing, slow start to the morning can appreciate the crooning tunes of Jack Johnson, such as in his “Banana Pancakes” song. “Here Comes the Sun,” by The Beatles. Even on dreary mornings, it’s hard not to smile listening to one of the world’s most legendary bands play a happy tune like this one. “Walking on Sunshine,” by Katrina & The Waves. This classic 1980s tune is a peppy choice that makes you want to sing in the shower. The mood of your morning playlist is all up to you — do you want to feel soothed, cheerful or energized? Start with the mood you’re after, and create a playlist that achieves it. Relaxation. If your idea of a good morning is deep breaths and time to go at your pace, you might like a playlist of soothing songs meant to calm you. For this choice, stay away from fast beats and catchy tunes, and choose instead slower, quieter songs. Play your soundtrack each morning while you wake up gradually and get your bearings for the day ahead. Happiness. Put the good back in good morning with a set of happy tunes that make you smile! Whether this includes songs that get you dancing or tunes that bring back favorite memories is up to you. Sing-along. It’s hard to stay grumpy when you’re blasting lines from a favorite tune, so why not make the most of your morning with sing-along songs? Organize a playlist that you love to belt out, and play them while you’re showering and getting dressed for the day. 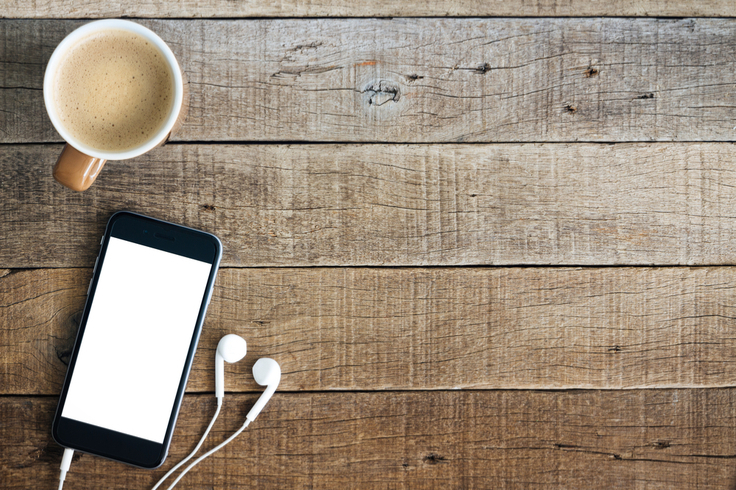 There’s nothing like a playlist to set the stage for a happy, productive day. To create the morning mood you’re after, use the playlist-creating tips above! When it comes to proper skin care, exfoliation is a must. Not only does it slough away dead cells, but it results in healthier, more luminous skin. In fact, whether you’re young or old, prone to acne or not, regular exfoliation offers a host of significant benefits. If you’re interested in learning more, here’s a look at what exfoliation is, why it’s so important for both men and women, and examples of how you can get started doing it today. Exfoliation is, essentially, scrubbing. Through it, you can remove dead cells from the surface of your skin, unveiling softer and more radiant skin underneath, while also priming the area for toners and moisturizers. Because overdoing it can strip too many natural oils, the best routine is exfoliating two or three times a week. Many people who wash their faces daily aren’t aware of what exfoliation offers. In fact, however, there are some incomparable benefits that come from the practice. Buffing away dead skin cells. Dry, dead cells tend to accumulate on the skin’s surface, creating rough patches and/or damage. Exfoliation buffs away these cells, leaving a brighter, fresher look. Bringing blood flow to the area. Scrubbing the skin helps increase circulation to the area, encouraging new, healthy tissues to grow. This is especially beneficial for healing blemishes, scars or dark marks. Reducing the look of fine lines and wrinkles. Everyone gets wrinkles at one point or another, so if you haven’t discovered them yet, you can bet you will. Exfoliation helps you remove the dead cells that can build up on and accentuate those fine lines. This can make them less noticeable. Preventing breakouts. If you have oily, acne-prone skin, exfoliation is a great way to remove the dead cells clogging pores and causing breakouts. This can reduce the size of pores and help your skin stay clearer. Priming your skin for moisturizers, etc. As exfoliation removes the dead cells clogging your pores, it clears them to be ready to absorb serums, toners and moisturizers. This helps you maximize the power of your regular grooming regimen. You don’t need makeup or a beauty routine to benefit from exfoliation. Even men can’t afford to ignore this practice, as a good scrub can have a major impact on the skin and shaving. Because exfoliation clears dead cells that cause matted hairs and razor obstacles, it can help you achieve a closer shave. Likewise, by removing the cells that can clog follicles, it might prevent ingrown hairs. 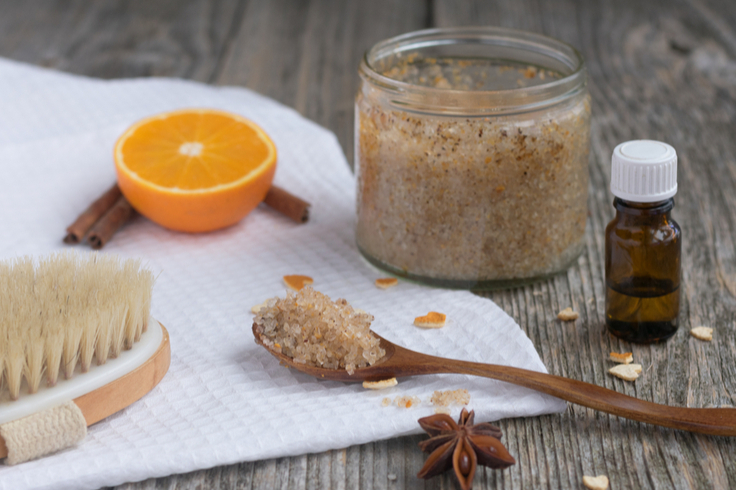 Because exfoliation has long been shown to be a beauty booster for the skin, today’s cosmetics industry is loaded with face scrubs, salt scrubs and various exfoliation devices. You don’t have to book a spa treatment to see the benefits of exfoliation; simply scrub your skin with an exfoliator at home. Shop any beauty store, and you’ll find abundant over-the-counter facial scrubs that have gritty ingredients made to remove dead skin. Finding the right option for you involves trying methods to see how your skin responds and how you feel. Look for products with gentle ingredients that won’t over-aggravate the skin. Try scrubbing once a week, working your way up to more frequent use. No matter your age, gender or skin type, there’s a lot to gain from proper exfoliation. Try adding this practice to your grooming routine and see what happens! When you’re looking to make the most of small square footage in the bathroom, design is everything. 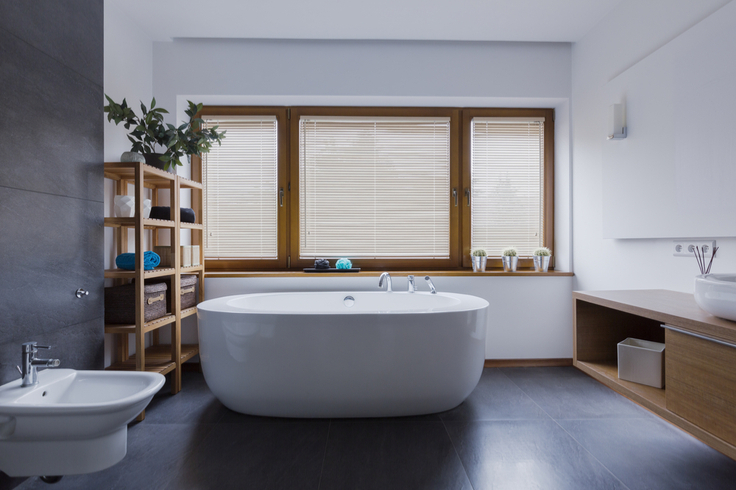 Through a more strategic layout and smarter room organization, you may be surprised at how much larger the bath area can feel. Free floor space by storing products out of sight, for example. Open the layout significantly by going with a smaller vanity or a pedestal sink. There are many ways you can gain space in the bathroom to make it feel larger and more usable. Paint the walls soft colors. When space is an issue, don’t use dark wall colors, which can often make a room feel smaller. Instead, paint the walls pale colors that will help create an illusion of more space. Go with a glass-enclosed shower. For the sake of space, skip the shower curtain and opt for glass. A glass-enclosed shower provides a clear line of vision through the room, making it feel more spacious in the process. Get a bigger mirror. Is the mirror above your vanity as big as it could be? Push the margins of your wall area with a mirror that extends as far — horizontally and vertically — as possible. Streamline the vanity. Anything that frees floor space will help your bathroom feel bigger. If you can swap the vanity with a leaner model, do it. Consider using a pedestal sink, for example, or a wall-mounted vanity that’s off the floor. Even if the opened surface area isn’t usable, it will make the room appear larger. Eliminate what you don’t need. Go through all the items in your bathroom and determine what’s necessary. Do you truly need five bottles of shampoo and 10 towels, for example? Could you pare down and keep less on hand? By reducing how much you store, you cut the clutter that can make a bathroom feel smaller. Add unseen storage. For the items you need to keep in the bathroom, set yourself up with savvy storage solutions. Consider adding a medicine cabinet over the vanity, so everyday bathroom items you need are easily accessible. Likewise, if you have a storage cabinet in a vanity or closet, add organizers to the back of the door and roll-out drawers to cabinets, allowing you to use every bit of space you have. Make use of shelving. The area above your bathroom door might be perfect for adding an open shelf to store paper products or extra towels. Likewise, a simple shelf above the toilet could be ideal for showcasing eye-catching bathroom trinkets and neatly arranged bath products. Roll, don’t fold, your towels. Instead of folding your towels (which takes more space), try rolling them. Rolling saves space and adds a spa-like feel to the bathroom. When it comes to the bathroom, the smarter your storage solutions, the better. Even the smallest powder room feels larger when it’s designed well. To efficiently use your bathroom’s square footage, try the tips above!